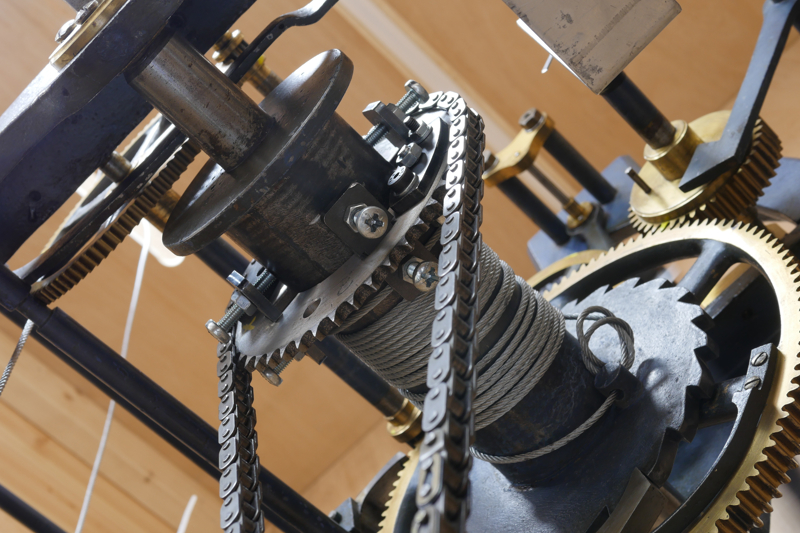 Our automatic winding clock system eliminates the need for regular hand-winding of your church tower clock and turret clock. It’s compact, lightweight and reliable and can be fitted to most turret clocks and carillons. 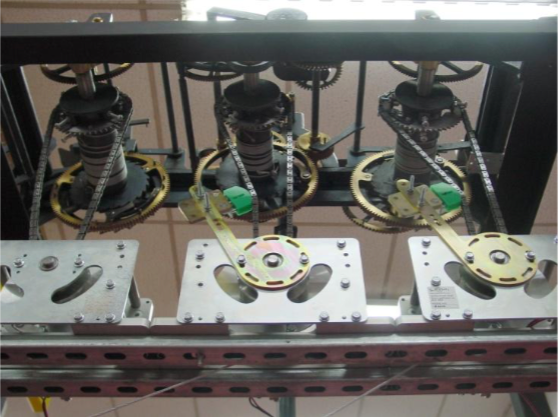 Automatic Winding is designed to power a weight driven clock via the main barrel. 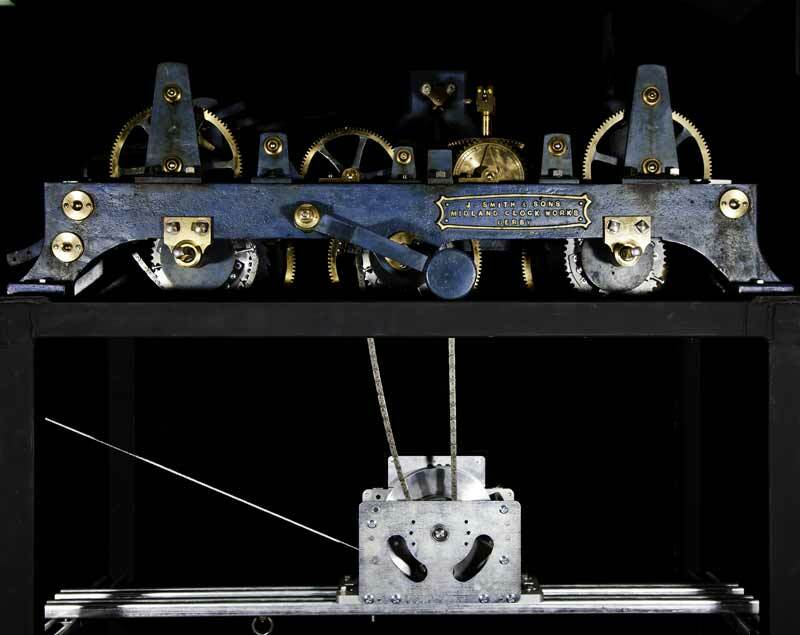 This configuration most closely resembles the original weight power source of the clock and it also ensures regular speed of striking and timing. 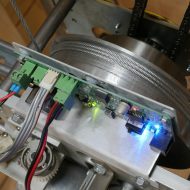 It has its own weight line, weight and pulleys. 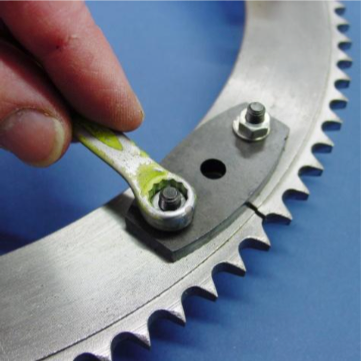 The set-up of the gearing means that sufficient power is generated to power the clock with less weight than when hand wound. 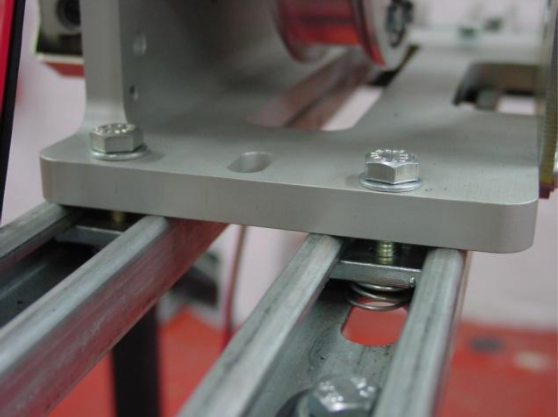 This allows the weights of the old system to be set aside. 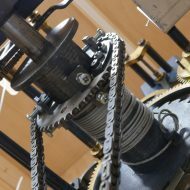 The new weights rise at frequent intervals and the required weight-fall height is usually within the height of the clock room. 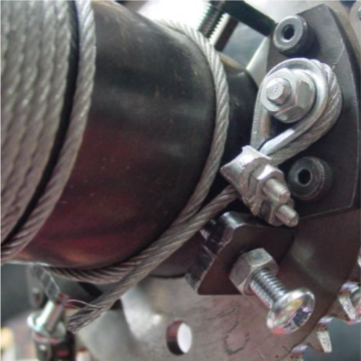 The requirement for a separate weight shaft is eliminated. 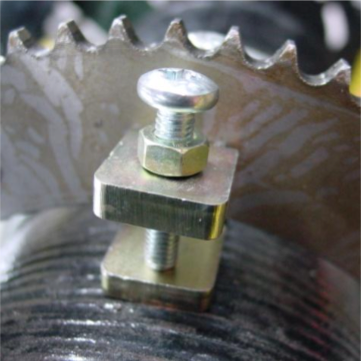 However, as conservation requirements can differ, it is possible to use existing weights and pulleys if necessary. 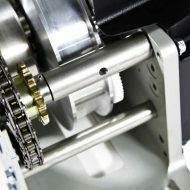 The unit provides uninterrupted weight power, even during the process of winding. 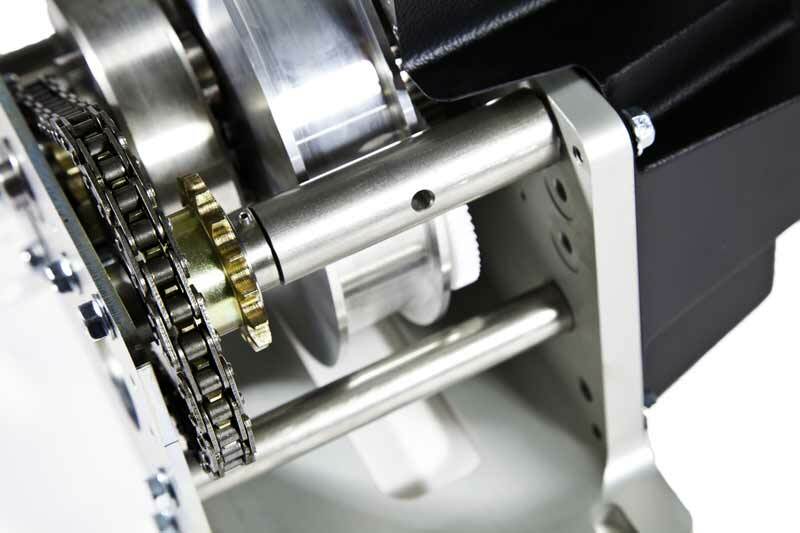 Safety switches guard against over-winding and the system battery maintains power to the motor in the event of a power failure. 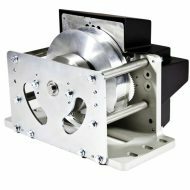 If the power supply is interrupted for a lengthy period, the weights will come to rest safely on the floor until power is restored, when the unit will re-wind. 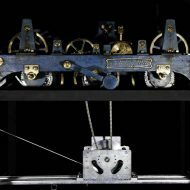 The AW10 units are installed on a separate frame which can be located above or below the clock mechanism. 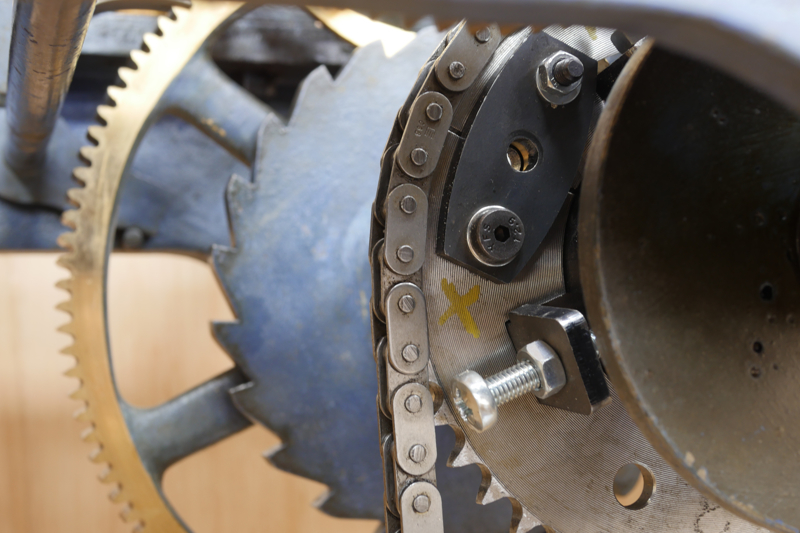 The split barrel sprockets have a special method of clamping to the clock barrel. 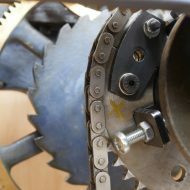 The securing pads and clamps require no holes to be drilled, and a new cable is incorporated and tensioned to stabilise the sprocket and prevent slippage. 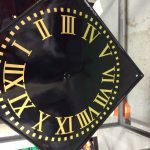 The historical integrity of your clock is therefore not compromised in any way. 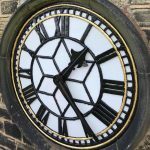 This system is so heritage compliant that your clock could be converted back to its exact manual winding condition.